Paul Gascoigne has broken his silence on the Scottish Football Hall of Fame withdrawing his nomination. The former Rangers midfielder was on the verge of being honoured at a dinner later this month alongside women’s football legend Julie Fleeting, but his nomination was pulled, amid reported concerns over the 51-year-old’s health. And now the 57-times capped England international has had his say on Twitter, where he posted a video clip of his famous goal against Scotland at Wembley during Euro 96 in a message to the Scottish FA’s account, along with the caption “NO HARD FEELINGS” followed by four kisses. Gascoigne also sent a tweet to Rangers’ Twitter account, saying: “I played some of the best football in my career at Rangers, and loved the support of the fans. His nomination was rescinded after reports suggested that members of the Scottish FA board were planning to boycott the ceremony if Gascoigne was inducted, citing previous instances of domestic abuse, racism and sectarianism. Scottish football’s governing body has no input on nominations to the Hall of Fame, with inductees selected by a panel of football and media personalities, and chosen from nominations by the general public. Gascoigne’s contribution to the Scottish game was due to be celebrated at the Scottish Football Hall of Fame Dinner on Sunday October 21 at Hampden Park, but it was confirmed late on Thursday that the nomination had been withdrawn. The U-turn was branded “embarrassing” by Gascoigne’s former Ibrox team mate Ally McCoist, while a petition set up to protest the withdrawal of the nomination has so far attracted more than 16,000 signatures. Rangers fans’ group Club 1872 also issued a statement last week, questioning the decision behind the U-turn and criticising the Scottish FA and the Hall of Fame committee. 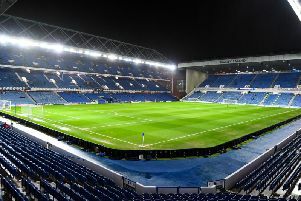 The group claimed that the withdrawal “once again highlights the incredible hypocrisy of Scottish football’s governing bodies”, and called on the Scottish FA to “publicly clarify which board members objected and if any attempts were made to influence the committee to withdraw the nomination”.